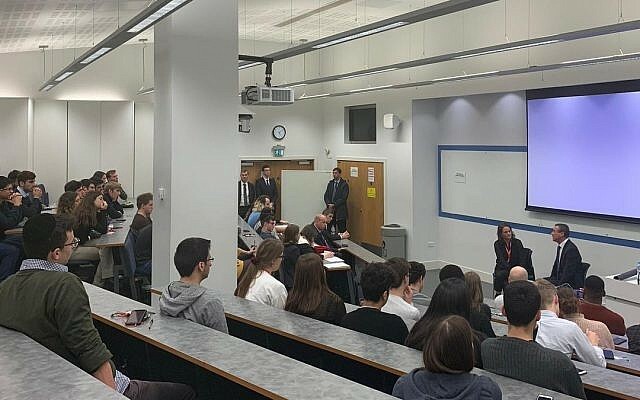 Students welcomed the protest-free appearance of Israeli Ambassador Mark Regev at City University just two months after his talk there was shelved amid security concerns. Regev spoke to about 50 students in a discussion facilitated by a professor of politics, after threats of protest and disruption at the end of last year caused his original appearance to be postponed. Since then, representatives from the Community Security Trust (CST) and embassy worked with University officials to ensure an agreeable arrangement, after students from Jewish and Israeli societies pushed for the envoy to appear on campus. City University’s Student Union last year passed a motion to support the Boycott, Divestment and Sanctions (BDS) campaign, leading pro-Israel student activists to report a growing feeling of unease. “As a Jewish student I have felt increasingly unwelcome on campus, especially when it came to educating other students about Israel,” said Rachel Abraham, a StandWithUs Emerson Fellow and vice-president of University’s Jewish Society. 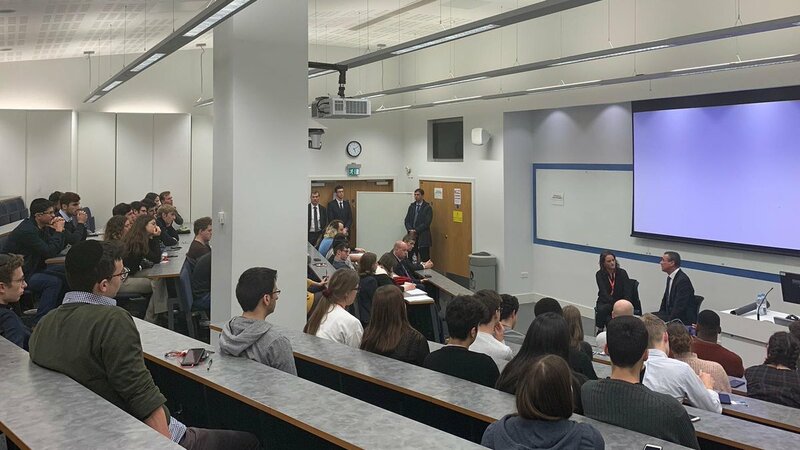 Eliana Friend, president of University’s Israel Society and another trained StandWithUs advocate, said Regev’s visit came after “two months of planning in countless meetings with the University, security and other organisations”. ??? ?Good to have the opportunity of engaging with students at @CityUniLondon. Robust & considered questions from all who engaged.